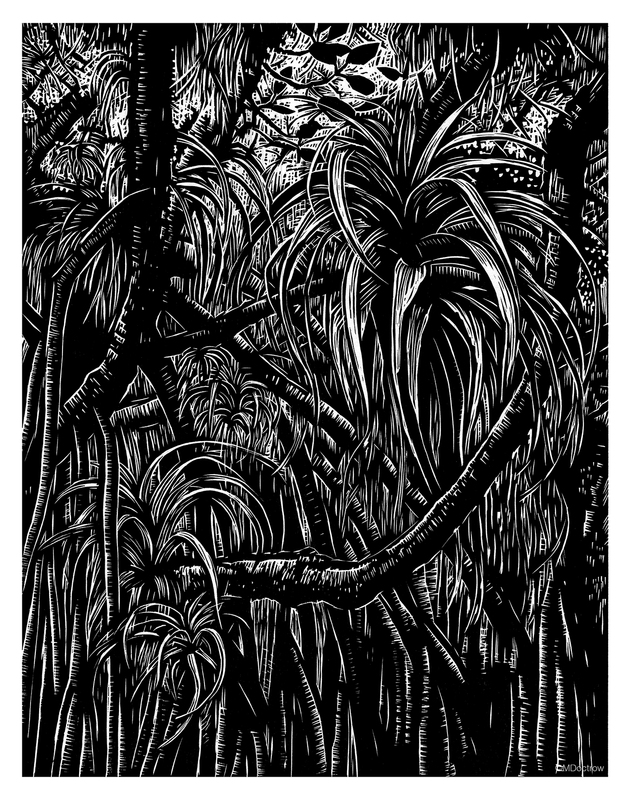 In the Mangroves, on view in the 27th Annual All Florida Juried Arts Show. It was a pleasure to spend time viewing the works submitted to the 27th Annual All Florida Juried Arts Show and make selections for the 2017 exhibition. It is testament to the high quality of work submitted that the task to select 40-some works out of the pool of 400 was a difficult one. Many of the submissions exhibited technical savvy and a strong sense of composition, but I was looking for something more. Thought provoking pieces that strongly resonated with me were those selected. I found myself most intellectually and visually stimulated by works that used materials or the medium in an unexpected way, offered a unique perspective on the subject, and/or demonstrated conceptual rigor. Viewing the selected works in the lovely, historic Court House Cultural Center Gallery was the highlight of the jurying process. I was able to get a real sense of scale and see more of the artist’s vision through the way in which they decided to frame or otherwise present their work.